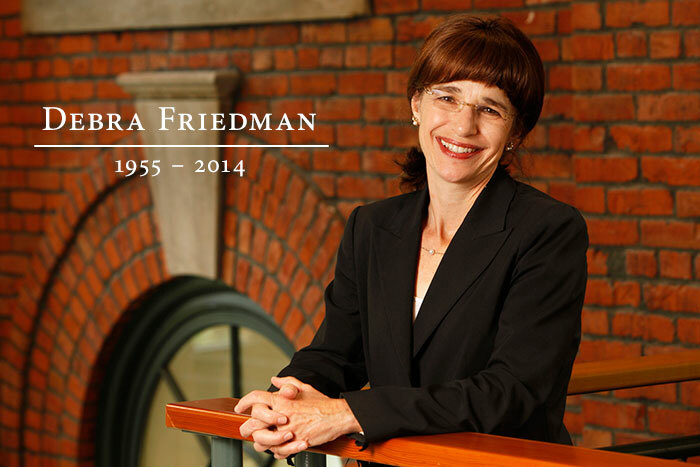 News came early Sunday evening of the passing of UW Tacoma chancellor Debra Friedman. I worked with her during her time at ASU. She will be missed. The news came early Sunday evening of the passing of Dr. Debra Friedman, the Chancellor of the University of Washington Tacoma and the former Dean of the ASU College of Public Programs. My condolences and sympathies go to Debra’s daughter Eliana, her family, her colleagues at the UW Tacoma and ASU, and the thousands of lives she touched. While at the ASU College of Public Programs (my alma mater), Dr. Friedman was the Dean in charge of moving that College from its longtime home at ASU’s main Tempe campus to its new home (and very uncertain future) at the burgeoning Downtown Phoenix campus. She believed in open access, strong partnerships between the University and the community it serves, and the notion that our future civic leaders can and will come from all walks of life and from places not normally expected. I had the great privilege to work with Dr. Friedman during my tenure as a Student Ambassador for the College of Public Programs from 2008-2011. While a student-to-student voice certainly helped in recruiting new students to the College, I was told that part of the reason our program existed was because she wanted students in the Dean’s Office as an ever-present reminder to the faculty and staff that we (the students) are the reason they (the staff) are in their jobs. And we weren’t just student workers–the lowest rung on the totem pole–we were colleagues with the adult staff in one shared mission: to advance the College and make it still better and better. And so we will do, albeit with heavy hearts, what Dr. Friedman wanted us to do: make our communities still better and better.